Newland Supply Co. — Sanborn Canoe Company canoe paddles and axes supplied by Newland Supply Co.
Sanborn Canoe Company canoe paddles and axes supplied by Newland Supply Co.
A range of artisan painted canoe paddles and axes by American company, Sanborn Canoe Company. Sanborn Canoe Company, at its origin, was a summer hobby by a few buddies to build a cedar-strip canoe with little more knowledge than we had gleaned from a how-to book, purchased at the local bookstore. By the end of that first summer we had a sturdy canoe and a keen interest in crafting a few paddles to ply it. Learning everything the hardest way possible, it seemed, by trial and error we succeeded in carving out a few paddles. Those first paddles led to the desire to learn more and then more about paddle making, until we had made more paddles than we could ever use. And curiously to us, some folks liked them. Wham-Bang, Sanborn was born! From that all-too-clichéd “business in our buddies garage” we earnestly set out to carve out our niche in the paddling community. This was familiar territory for us, having paddled and extensively backcountry canoe camped throughout canoe country — for some of us since our early childhood. That heritage had been bred in the early years of the 1900s (and most certainly earlier still), through past generations of our families’ paddling in northern Minnesota and beyond. So through our history and eagerness to learn, we quickly grew as a paddling brand. We honed our craft and in time offered up our paddles to retail locations and to the veritable masses, through the almighty internet. Chop wood in style with the most beautiful axe we've laid our eyes upon from Sanborn Canoe Company. 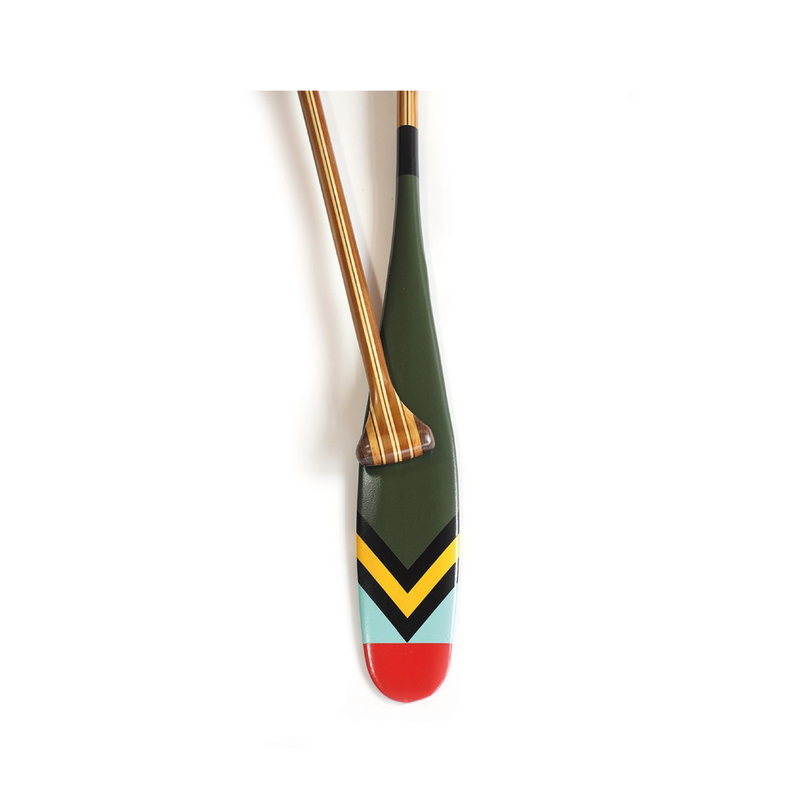 Get inspired to take a trip down on the lake with this stunning hand painted artisan paddle. Hang it on the wall of your cabin or set off on your next adventure. A beautiful paddle named after the Native American Nations name for Lake Superior. Name after a particularly gruesome stretch of rapids along the Columbia River. The chief addition to the Sanborn Scout line of gear is the Scout Artisan Paddle.